Yanke Bionics is among the few facilities in the United States to offer the FastSCAN Scorpion system, the next generation of computer imaging and fabrication in the field. 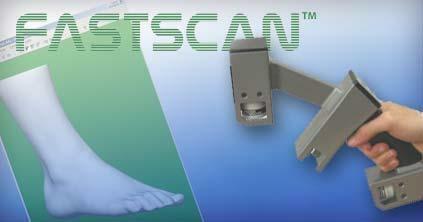 FastSCAN Scorpion is the first system ever to offer the capability of two cameras in a hand held wand that directly scans the patient’s residual limb in order to create an exact computer image of the limb. This results in a three-dimensional model which when loaded into the BioSculptor software allows the prosthetist to design a prosthesis that provides as close to perfect fit as is allowed by technology available today.